Introducing a New ArtisTTable Retreat! 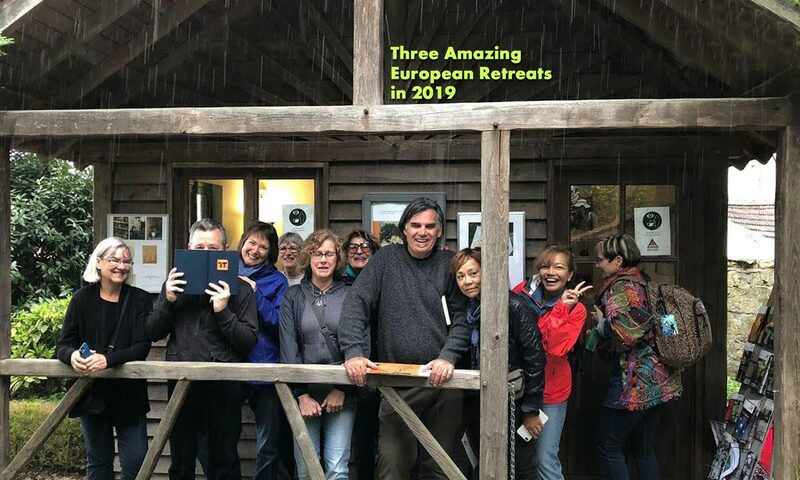 We have held retreats in this region of the Netherlands before, but this one is all new! We will be painting in and around Zwolle that is located in the center of the Netherlands. Zwolle is the capital of the provence of Overijssel. It is a city that boasts the most bicycles per capita of any other in the country. Tali just happens to live in Zwolle so she knows all the best places to paint, and she speaks the language. Zwolle is a particularly a charming place with many picturesque parks and the city center is filled with classical Dutch architecture from the 14 and 1500’s. In fact Zwolle’s city center was just voted the best centrum after Amsterdam of course. Surrounding Zwolle are rural landscapes that include thickly wooded areas, to farmland, to the banks of the Overijssel river. Our focus will be on woods, paths, fields, Zwolle and windmills. While we have several different locations and activities planned for you, our daily routine will be about the same each day. Breakfast will be provided at the hotel each morning. Lunch most days will be a simple but delicious meal that we will bring along with us and weather permitting we will enjoy picnic style cuisine and fun. For dinner, we will provide you with 4 dinners during the retreat. The other dinners we will let you be on your own. Dinner is always served in the hotel restaurant, but as the hotel is so close to the city center, there are many restaurants and cafes available to choose from. Come prepared to do a lot of drawing and painting. The focus of this retreat going to be on capturing the wide variety of subject matter that there is to experience in this relatively small geographical area. Every day we will be drawing and painting in different locations, and we will arrange time to revisit the places that you might like to explore further. We also focus on each artists own creativity and expression. We will help you in every way we can as you explore your individual creative path through this special Dutch landscape. A Drawing Safari is an invaluable exercise and it is an ArtisTTable original. On this Drawing Safari we walk through the a city park, along the canal and the old streets of Zwolle. We will find beauty in the unexpected and be pleased that we find so much inspiration in this place. During our safaris we walk 2-5 minute and then we draw for 2 minutes and walk again. This is a great way to get to know and love your surroundings. As you learn to look fast and draw fast you will find that not only your drawing skills, but your powers of observation will be sharpened. This workshop is another original creation of Tali and Royce. In a nutshell it is an exercise that will boost your creativity, and help you discover that inspiration can be found everywhere. It is also a time for collaboration with complete freedom of self-expression. This week we will present Muse & Usability like never before, so if you have done this workshop with us before, it will feel all new again. The materials you bring are up to you. But as we are moving around a lot during this week, large scale paintings or oils are not advisable. If you are interested, we can put together art material packs for your with either watercolors or acrylics. Contact us for details. The Netherlands has a very strong bicycle culture, the word for bicycle in Dutch is fiets. As we mentioned, Zwolle has more bicycles per capita than any other city in the country. Because of the high percentage of people riding bicycles there is a really well developed infrastructure that enable bicycle riders to get from point A to Point B with minimal interaction with other traffic. That said, we will be riding bicycles as much as possible to get to our different locations. We will be renting bicycles and the going rate is about €10 per day. We realize that not everyone is capable of riding a bike, if riding a bicycle is not an option for you, please let us know on the registration form so that other arrangements can be made. You will be staying in the Campanile Hotel Zwolle that is located a very short walk from the old city center. The hotel has a restaurant where we will eat breakfast each day. Everyone will have their own private room to retire to each evening. This hotel is convenient to every where that we will be going to draw and to paint. When traveling to Zwolle from outside of the Netherlands we suggest flying into Amsterdam. You will land at Schiphol airport and as you exit the baggage claim area you will find yourself with very easy access to the trains from the main hall of the airport. Train tickets are available in the station and English is spoken there. If you are driving from other European locations or from inside the Netherlands, Zwolle is located on the A28 where the N50 from the north and N35 from the south meet. We celebrate creativity whole-heartedly in our Dutch Landscape retreat. We will help you nurture your own creativity so that it will grow and grow. During our time together we will spend a lot of time working on the principles of composition, balance, color, texture and mark making exist there. We want your experience to be rich and full of many painting adventures. • Full payment is due 12 April 2019. • After 15 March 2019, 50% of the total amount received is refundable.